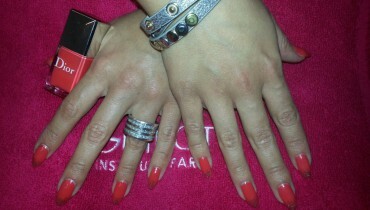 Neat nails and pretty hands are business card and status symbol in one! In our cosmetic studio, we place value on naturally beauty! Also, on the beauty of your hands, too! Our nails and hands are susceptible to daily exertions, and so they need our care as much more! Think, how much our manicure have to bear over the day. There are exertions like the usually working with the keyboard, pollution, coldness, use of detergents, discoloration form smoking, these are things, which took away the shine and the glance of the nails and which let the hands age faster. With a professional nail modellage your nails will became an eye catcher again. The best solution is the natural nail modellage, which makes your nails not only shiny again, it makes them harder also. 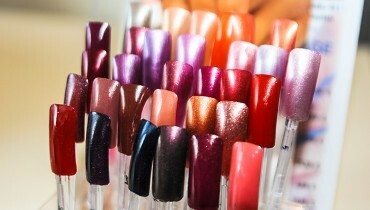 We offer you a huge amount of methods, which helps your nails to recover. There, we have the light curing technique, the classical nail modellage and Spa manicure and pedicure. Further, we endow your hand with enjoyable massages. In addition to all, we have the possibility to do the shellac-method, at which the applied lack, called shellac, gets rayed by UV-light. The effect at this method is, that the lack dries faster, and keeps a half month, without getting brittle or chapped. 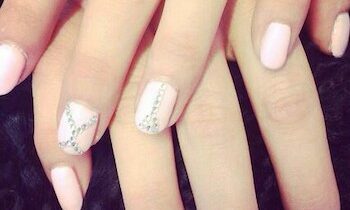 You don’t have to worry about splintering nail lack and you save money, but the best reason to decide for shellac is, that you’ve got beautiful nails.